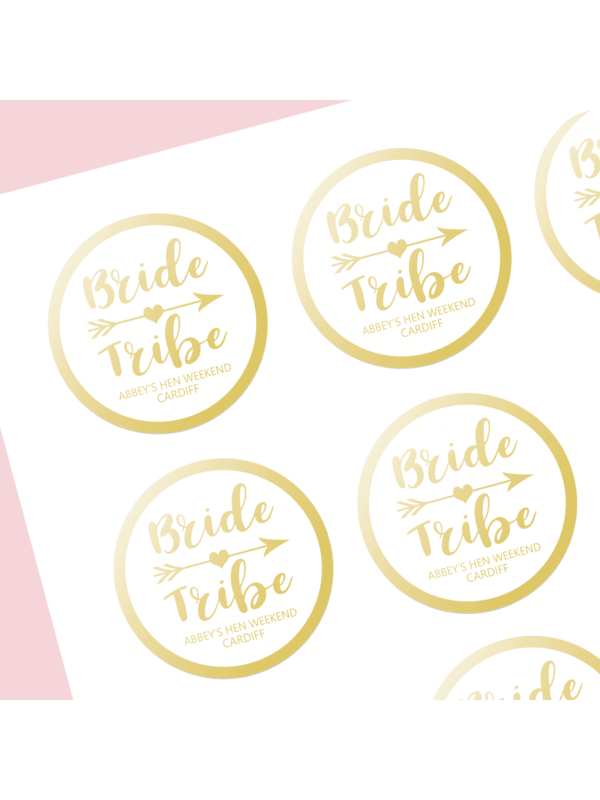 Showing our 2 Hen Party Superstore Bride Tribe Gold Personalised Stickers (Pack of 12) reviews with an average rating of Excellent. Would you like to write a review? Really great product. I purchased the large ones to stick onto goody bags but didn’t realise just how large they were! This isn’t a negative, though as they look great. Was initially going to use them to stick onto the bags but on sight could see they are too small. Perfect for the shot tubes we have though!! Lovely.